Once upon a time, there was a really gifted storyteller. His name was Ron Ploof. 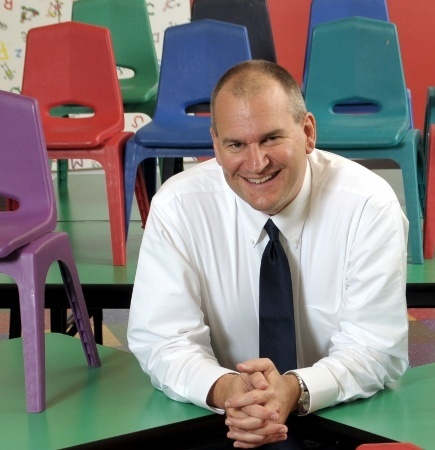 Every day he found a reason to tell stories to help others understand things better. Then one day, he decided to take on Project Lizzie to tell the story of someone who lived 100 years ago based on 99 postcards. Because of that, he connected the dots between his own storytelling story. And because of that, he realized how important it is for businesses to have the right tools for story telling. Until finally, he created the StoryHow™ PitchDeck to teach business communicators how to transform their messages, ideas, and presentations into memorable stories so they could finally stand apart from the noise, connect with customers and live profitably & happily ever after. I first connected with Ron Ploof in 2009 (see Johnson & Johnson, The New Media Innovator) and then met him in person in 2010 (see MarketingProfs B2B Forum 2010 Recap). Ron's passion for story and enabling business story telling is contagious as I discovered while learning about Project Lizzie and reading through the StoryHow Blog. And the decision to create a physical StoryHow PitchDeck project (which Ron shared with me) is not only story-worthy, but also compelling and provocative. Here is my interview with Ron. 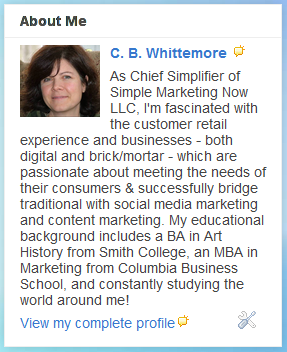 CB: What is your background & how did StoryHow get started? RP: I like to think of myself as a socially well-balanced geek. My degree in Electrical Engineering has served me well while working for Silicon Valley companies, but it didn't help me explain complex concepts in simple terms. Over the years, I've developed an ability to transform complex ideas into meaningful concepts through the use of the story structure. The idea for the StoryHow method came in mid-2014 when I noticed a news trend. Publications such as the WSJ, Huffington Post, and the Harvard Business Review published articles about why brands needed to become better storytellers. And while I agreed with their collective premise, I questioned the recommended methods. Most references relied on examples from either the entertainment industry or personal anecdotes. While they offered excellent advice, few went through the effort of translating the concepts into business examples, and none did so using the language of B2B business. Instead, they relied on entertainment industry jargon like "rising action," "climax," "falling action," and "denouement." So, I set out to teach the rules of story using the words of business. CB: How did you get started as a story teller? RP: I've been a storyteller my whole life. I once used a Hula Hoop to describe the function of a hemispherical resonating gyroscope to a group of scientists. I wrote a Job Skills book as a novel. And I launched one of the first indie storytelling podcasts called Griddlecakes Radio in 2005. It's kind of a character flaw. I see a story in everything. CB: How did you come up with the idea for the StoryHow PitchDeck? RP: A colleague from the high-tech industry was telling me about a presentation he needed to deliver, yet he couldn't find its story. I asked a few questions and then outlined it for him. When he asked how I did it, I didn't have an answer. Storytelling comes so naturally that it was like asking me to describe how I breathe. The question gnawed at me for a few weeks until I sought an answer. The result is the StoryHow™ PitchDeck. CB: How important is physical media especially now in the digital age? RP: I love digital media, but it's a two-edged sword. The good news is that it's frictionless. The bad news is that it's frictionless... and that anyone can do it. The result is an explosion of content, social networks, and smartphone apps. Not long ago the majority of our media was made from atoms. Today, that majority consists of bits. With such an imbalance, I think that we're yearning for more atoms in our media diet. That's why we treasure hand-written notes, printed photographs, and in my case, a deck of cards that people can use to write their business stories. CB: What are the elements of telling a story? RP: The StoryHow method divides stories into three components: roles, events, and influences. All stories consist of some combination and permutation of these elements. Roles are the characters in a story. Events are the things that happen to those characters. And Influences are the things that affect characters' decisions. CB: How does the PitchDeck work? RP: The StoryHow™ PitchDeck consists of 60 cards that are divided into four suits. We've already described three of the suits: roles, events, and influences. The fourth suit, techniques, offers suggestions for how to arrange those elements to tell your story. By walking through the process, users will develop a story that encapsulates that idea, message, or presentation into a memorable story. CB: Why should companies be interested in story-telling? Is this relevant only for big companies vs. small/medium ones? RP: I just finished Story Proof, by Kendall Haven. In it, he describes countless scientific studies that prove how communicating through story-structure increases attention, comprehension, and memorability. Therefore, storytelling has direct applicability for big, medium, and small companies. Nobody ever beat down the door to hear a marketing pitch. But they'll do anything to hear a great story. CB: What trends are you seeing around story telling? RP: There's lots of talk and interest, yet limited traction. I believe that companies understand the power of storytelling and they want to learn, however, they don't know where to turn for help. Part of the problem is the diversity in business storytellers. Some come from the entertainment industry, such as movies, theater, and improv. Others come from the human resources perspective, focusing on storytelling for leadership, personal development, and self-expression. 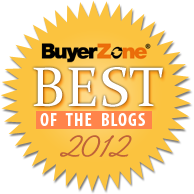 I've complicated the mix by addressing the need through my experience in the great game of B2B business. I see more companies adopting story-structure in 2016 once they determine the lens that their story training needs to be filtered through. 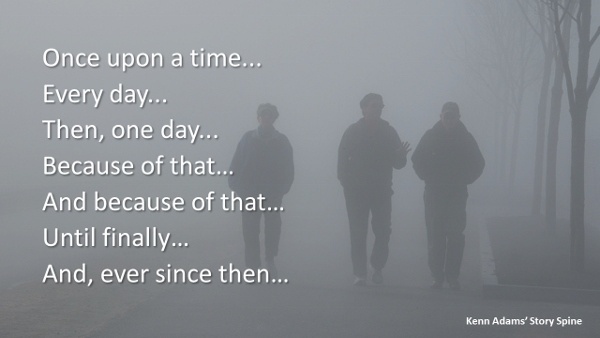 CB: What advice do you have for those wanting to embrace the telling of stories for business? RP: I tell my clients: "Nothing happens until someone makes your story their story." "Do I have empathy for the people I'm seeking to communicate with?" If you answered, "Yes," you're on the road to becoming a better communicator. If the answer is "No," I recommend abandoning story and staying with traditional marketing methods. CB: How can readers purchase the PItchDeck? 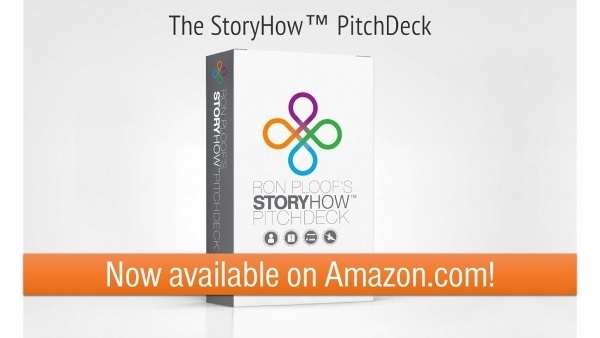 RP: The StoryHow™ PitchDeck is available at Amazon.com. CB: How can readers reach you? RP: You can reach me at storyhow.com. There you'll find my blog and can sign up for my email newsletter, a weekly publication called Dragonslayer Digest. RP: Did you expect anything different, Christine? The greatest stories involve characters on dangerous quests against impossible odds--like the knight who must slay the dragon to save the village. I see content marketers on a quest to slay the dragons of information overload. The newsletter is a way for us to slay those dragons together. CB: Thank you, Ron. I'm ready to slay every dragon I can find! What's your reaction to storytelling the business way as Ron Ploof describes? Can you see this approach working for your business? Why or why not? Would you agree that crafting a great business story makes it easier to "communicate in constellations" (see Steve Rubel Talks Inbound Content Challenges at #INBOUND15)?